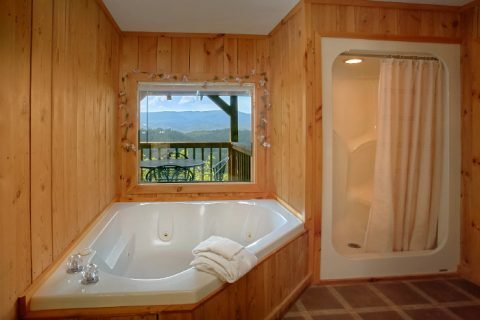 "Valley View" is a 1-bedroom Smoky Mountain honeymoon cabin with gorgeous views and excellent amenities. 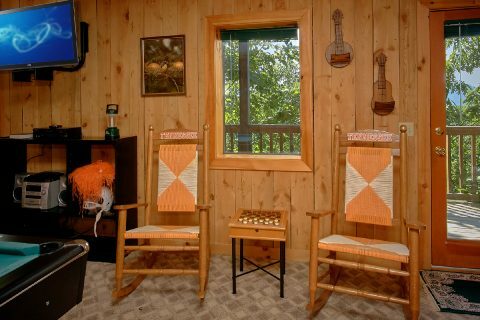 This romantic log cabin in the Smokies sleeps 2 guests and is ideal for couples visiting the Smokies. 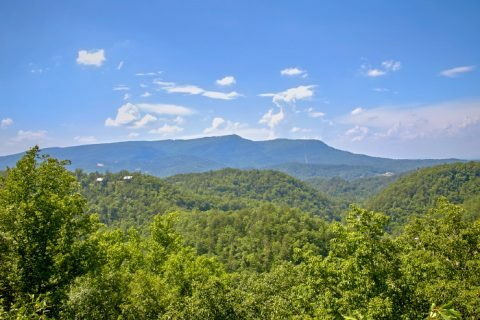 Guests who are celebrating their honeymoon or anniversary will love this peaceful mountain getaway that allows them convenient access to fun attractions and events in town. 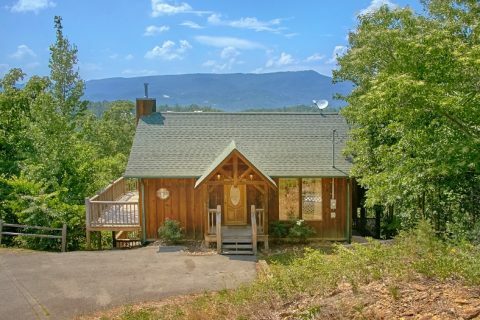 Even better, this cabin's beautiful setting creates a perfect atmosphere for making romance in the mountains of Tennessee. 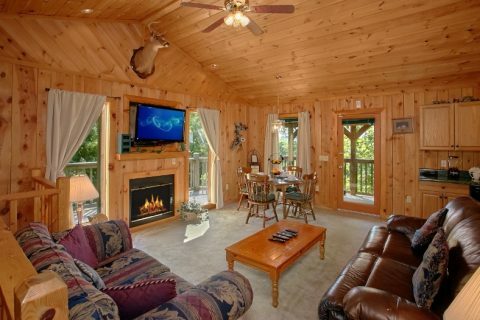 For a fun-filled day with your sweetheart, you have plenty of options to enjoy in the Smoky Mountains. 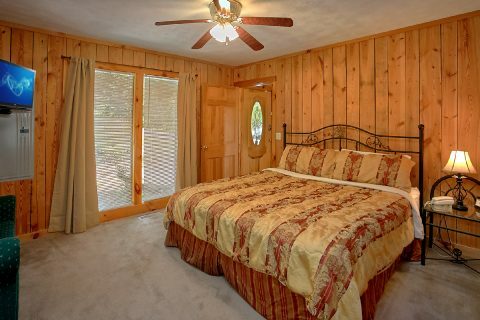 Whether you ride roller coasters at Dollywood, observe sea life at Ripley's Aquarium, or enjoy a peaceful drive on the Cades Cove Loop, you'll be glad to have a comfortable cabin to return to. 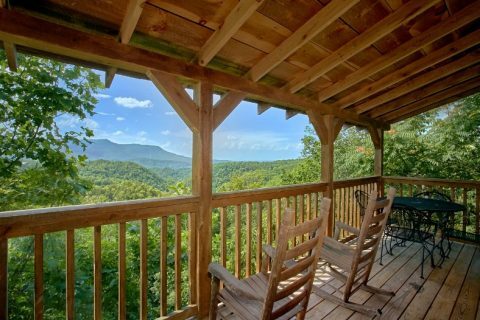 Even better, this rental with great views also comes with romantic amenities! 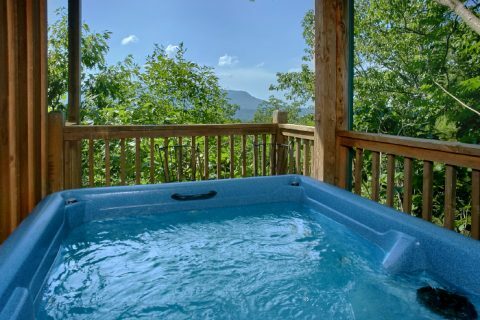 Take a relaxing dip in your cabin's outdoor hot tub that comes complete with stunning vistas of nearby mountains. 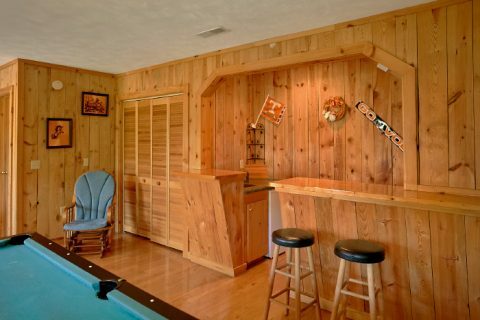 Challenge your sweetie to some friendly competition at the pool table in your cabin's game room. 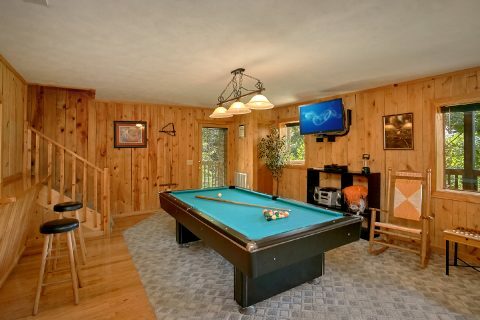 Or simply curl up by the seasonal, gas fireplace and enjoy a good movie before bed. 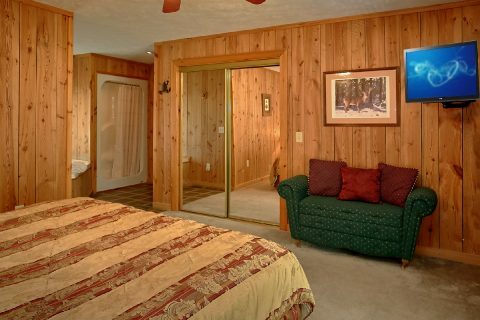 Enjoy a great night's rest in your king-sized bedroom with a jacuzzi tub. 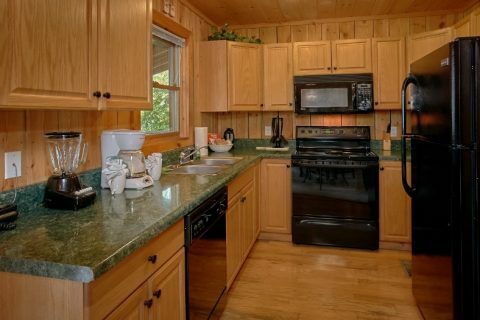 In the morning, you can prepare a delicious breakfast with your cabin's fully equipped kitchen. 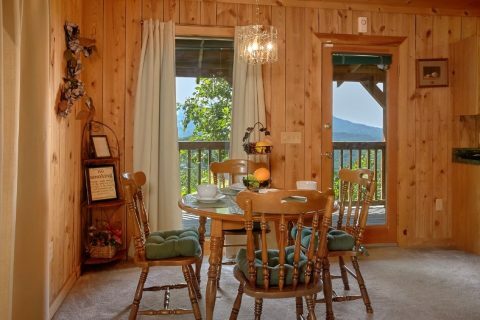 Enjoy breakfast with a great mountain view by dining at the sitting area on your cabin's back porch. 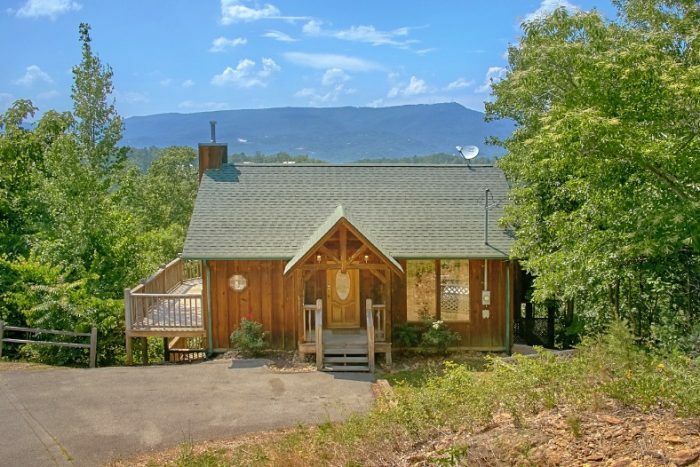 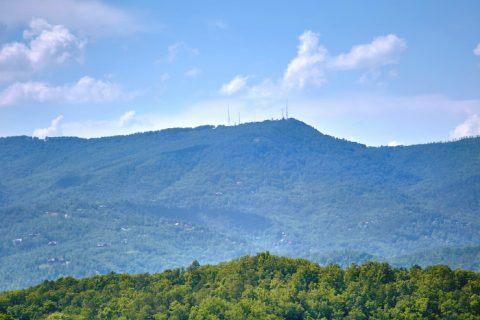 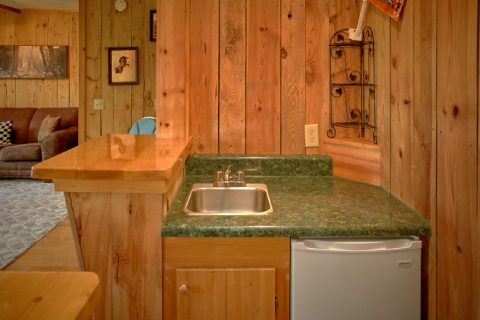 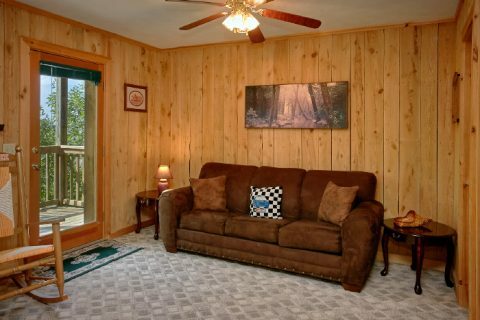 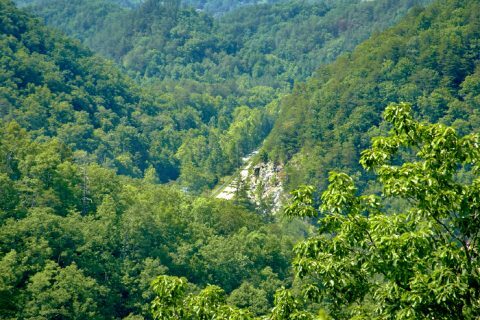 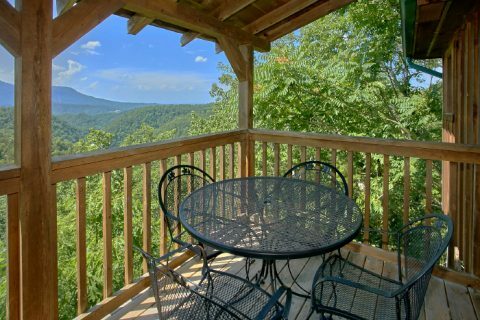 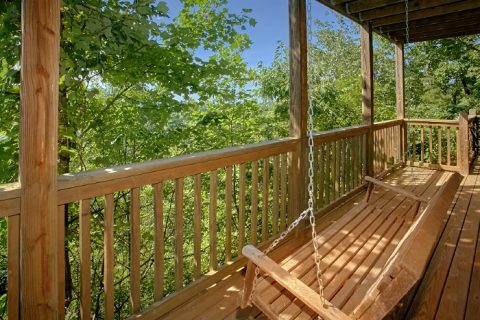 Book "Valley View" today and save 15% on your 1 bedroom cabin in the Smokies with mountain views. 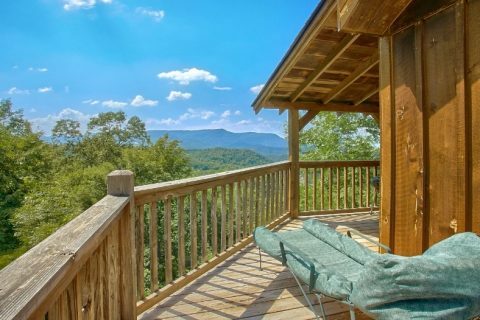 Enjoy a romantic getaway in the beautiful mountains of Tennessee to break out of the ordinary routine and reconnect with your special someone.